Part of the Really Wild Animals collection, this tape immerses the young viewer into the world that lives within the great big sea. 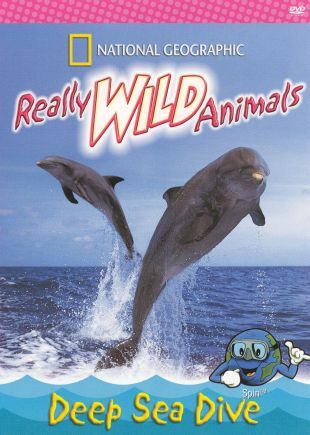 From National Geographic and their vault of educational video's for children, this is a whale of a documentary that encourages the kids to look beneath the surface. The dive lasts about 45-minutes and is complete with award winning cinematography, kid-friendly maps, and an upbeat series of music videos. Stars include, actor Dudley Moore as 'Spin' the animated Globe, dipping dolphins, blowing blue whales, salty sting rays and the terror of the deep, Sharks! Fun for ages 4-10.